Jake's Car World: CEO of Tesla Calls Critical New York Times Article "Fake." CEO of Tesla Calls Critical New York Times Article "Fake." • The First Automobile Was Electric. Electric cars were prevalent in the late 1800's and early 1900's. However, combustion took over from electric vehicles for the following reasons: greater range of gasoline cars, quicker refueling times and the vehicles were cheaper to buy. Back then they tried to solve the refueling time issue by having a quick battery swap over program which ultimately was not successful. 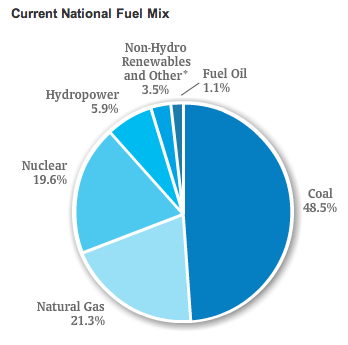 • According to Get Energy Active, U.S. electricity consists of a mix of 50% from coal plants (20% natural gas, 20% nuclear, 6% hydro, 1% fuel oil, and 3% renewables + other. • Tesla uses battery packs made of thousands of small cells, as small as consumer batteries. Every such small cell has it's own metal casing. Cells are cylindrical, so there's lots of space between them. Because of all this Tesla's battery packs are easier to cool, and it's much easier to prevent runaway heating that happened with Boeing batteries. Daimler and Toyota buy batteries from Tesla. • Range anxiety was a primary factor against for 71% of people when considering the purchase of an electric vehicle. Without an infrastructure to support refuel/recharge that anxiety will persist.